Barbie Doll Princess Charm School Princess Blair from the new movie, Barbie Princess Charm School, princess Blair magically transforms into three different fashionable looks! First, her school uniform top easily clips off to reveal a short fun party dress. 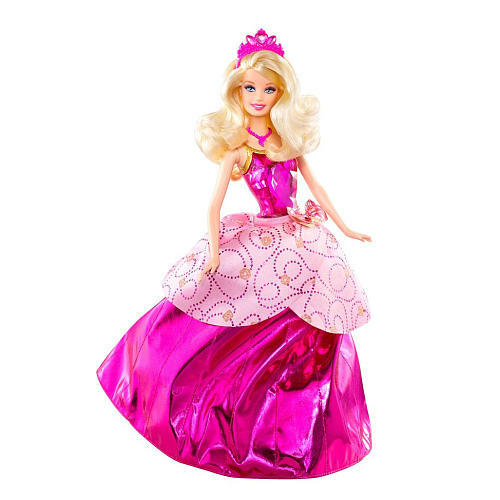 Then, with the push of a button, her party dress magically transforms into a full length princess gown revealing that she is the long lost princess! Includes doll and clip on school uniform outfit. Doll cannot stand alone.